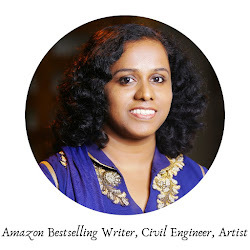 Today on 'On writing' we have T F Carthick, a Bangalore based author, armed with Engineering and MBA degress from India’s premier institutes IIT Madras and IIM Ahmedabad. 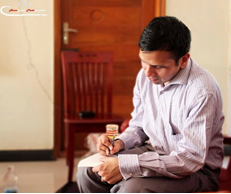 He currently works as an Analytics and Artificial Intelligence Consultant at one of the world’s leading Consulting Firms. Welcome to 'On Writing' Carthick! I was always creating stories within my mind since childhood. But I always thought they were day dreams about my future. I guess around the time I realized my future is going to be nothing of that sort, I decided to at least write them as stories. I am not very systematic in this. I tried to be. But once office work gets stressful, it is not possible to set a time for writing and stick to it. I just write when I get time and am in the creative mood. 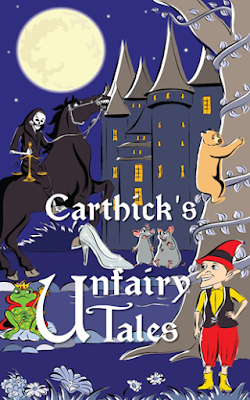 What is different about ‘Carthick’s Unfairy Tales’? The fairy tales we know are very superficial and just graze the surface. We never get to know the inside story, the people, their thoughts, the minor characters. So I tried to take each story and see from an unique point of view and bring out a different perspective to the same old stories. All the seven stories in one way or the other talk of the unfairness of life. What is unique as against other retellings are I have tried to twist them without really changing the events in the story as such. Which is your favorite story in the book and why? My favorite story is “The Hunger Diaries”. I have done something different here. In Book Thief, the author tries to write a story as written by death as the narrator. Here I have attempted a similar idea which is something new and I am very excited about it. Paperback of course. But e-books are convenient for travel, commutes and social occasions. How long did it take to finish writing ‘Carthick’s Unfairy Tales’? The idea came back in 2013. But these specific stories I started work in March this year and completed by October. From then, editing and book production have been going on. Who are the target readers of your book? This is a bit difficult. Fairy tales are something that hold inherent appeal to children. But my story does have some philosophical and satirical elements that I am not sure children can fully grasp and may appeal more to an older audience. But it is possible children may enjoy them even without grasping those elements and adults may enjoy for those subtler elements as well as for nostalgia of revisiting the stories they heard during the childhood. I read an interesting tag line of a company. Forgot which. Creating a great product and not marketing it is like winking at a pretty girl in a dark room. A book is a work of art as long as you are writing it but after that it is a product to be sold. If one doesn’t want to think of it as a product, one may as well keep it to oneself. Which is something quite admirable if one can really do it. But doing this requires a different state of mindset. Please share a passage or quote from ‘Carthick’s Unfairy Tales’ for our readers. There was one rare case where one of the newly “enlightened” mice decided that some of our kind were actually cats who had been enchanted and enslaved by mice. So he exhorted his followers to strive to break through the illusion and discover their true nature. The cult had a strong following and it looked as if it would take the entire mouse society by storm. But then one day, the leader of the cult, who called himself “The Prophet”, happened to encounter one of his supposed kin. The rendezvous had proven not-too-fortuitous and he managed to get himself assimilated into his supposedly true tribe…or one of them at least. Not exactly in the way he had imagined, of course. With his attaining martyrdom, the cult had just fizzled out. Think clearly what motivates you to write. Some may call it their muse. Once you find the muse, hold that it dear and stay true to that. You will face numerous distractions and might be tempted to adopt motivations of other authors. Every time you are beset by uncertainties and doubts, seek guidance from your muse. Before you learn the various writing skills, discover the one thing that is special and unique about your own writing. Then build all your skills around that. Keep learning new things and innovating. But always retain the core. Every time you are writing a new story, try to write in one or two lines what the story is about. Maybe a paragraph if it is novel. Does it feel fresh and exciting? Will it bring the readers new perspectives? If so, go on full steam ahead. If not, maybe time to go back to the drawing board and rethink. Thank you, Carthick! Wishing the very best for your book. An evil dragon. A damsel in distress. A concerned father seeking a savior. A hero galloping off to the rescue – a knight in shining armor. Now THAT is stuff of fairy tales. But what if the father’s real concern is for the dragon’s hoard; What if the damsel’s reason of distress is the marriage proposal by her pompous savior; and what if the story is told by the horse who bears not only the overweight knight but also his heavy, shining armor all the way to the dragon’s lair and back, facing certain death in the process? What if there was more – much more – to all your favourite fairy tales than meets the eye? This book chronicles not one but seven such unfairy tales – tales told by undead horsemen and living cities. Tales of mistreated hobgoblins and misunderstood magicians. Tales of disagreeable frogs and distressed mice. And bears baring their souls. 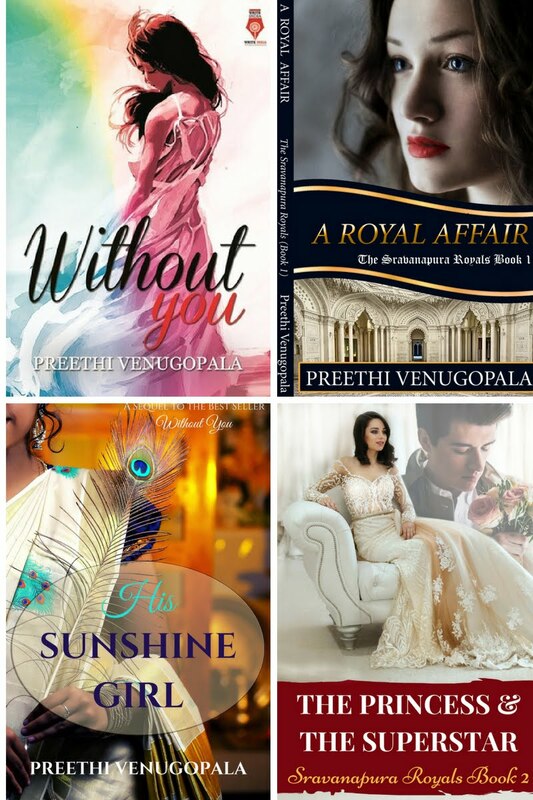 Once you read these stories, you will never be able to look at a fairy tale the same way ever again. Tips no.2 and no.3 are things that will imbibe as part of my struggling with my novel. 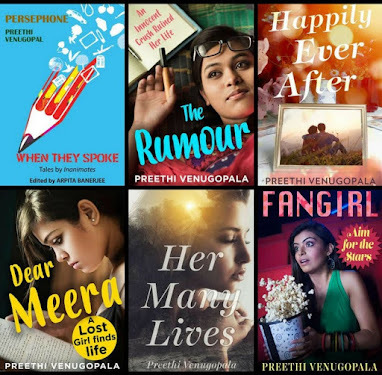 An insightful interview Carthick and super creative questions Preethi.